Excessively oily skin is often referred to as Seborrhoea. The cause of this condition is due to overactive sebaceous glands. The condition is not gender-specific. Sebum is the oil produced by the skin – Seborrhoea sufferers produce an excessive amount of sebum, causing the skin to be greasy and shiny. The areas of the body that are most commonly affected by Seborrhoea are the scalp and face. Other commonly affected areas are the underarms and under the breasts, where the skin folds over itself. Seborrhoea affected skin tends to get dirty quickly and has an accompanying unpleasant feeling. For Seborrhoea on the scalp we suggest PSOEASY Active Shampoo. 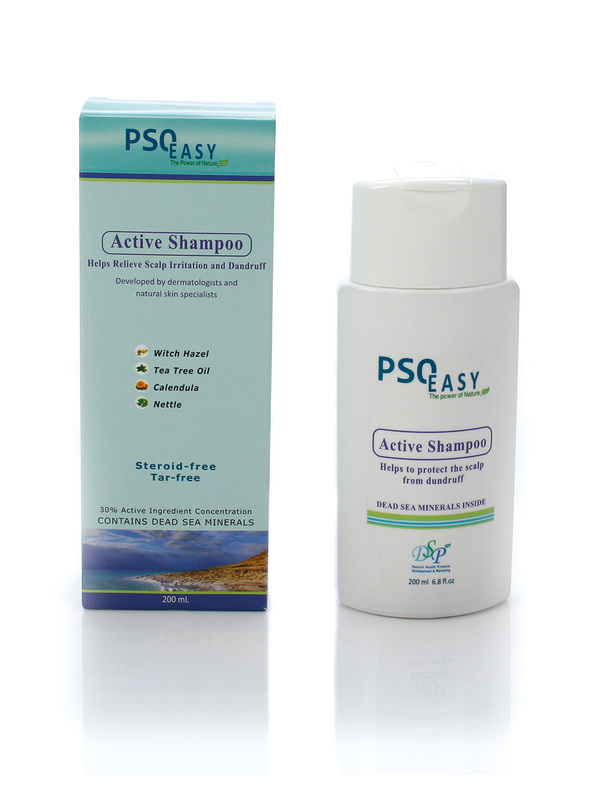 PSOEASY Active Shampoo effectively alleviates and controls various irritated scalp symptoms such as dryness, redness, flaking, scaling, itching and dandruff. 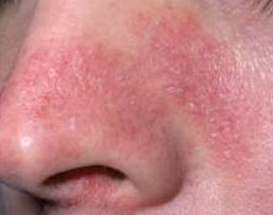 These symptoms are often caused by skin conditions such as psoriasis, seborrhoea and dermatitis. The PsoEasy treatment shampoo consists of a unique formula, which combines several natural components including Dead Sea minerals and plant extracts. The formula is also rich with anti-inflammatory components such as Tea Tree Oil and Wheat Germ Oil (Vitamin E), which are known for their effectiveness in alleviating inflammatory scalp symptoms caused by Psoriasis, Seborrhoea and Dermatitis. For Seborrhoea on the face we suggest FaceEasy Kit for best results. Natural hypoallergenic goat milk soap known for many years for its great attributes in rehabilitating the skin. 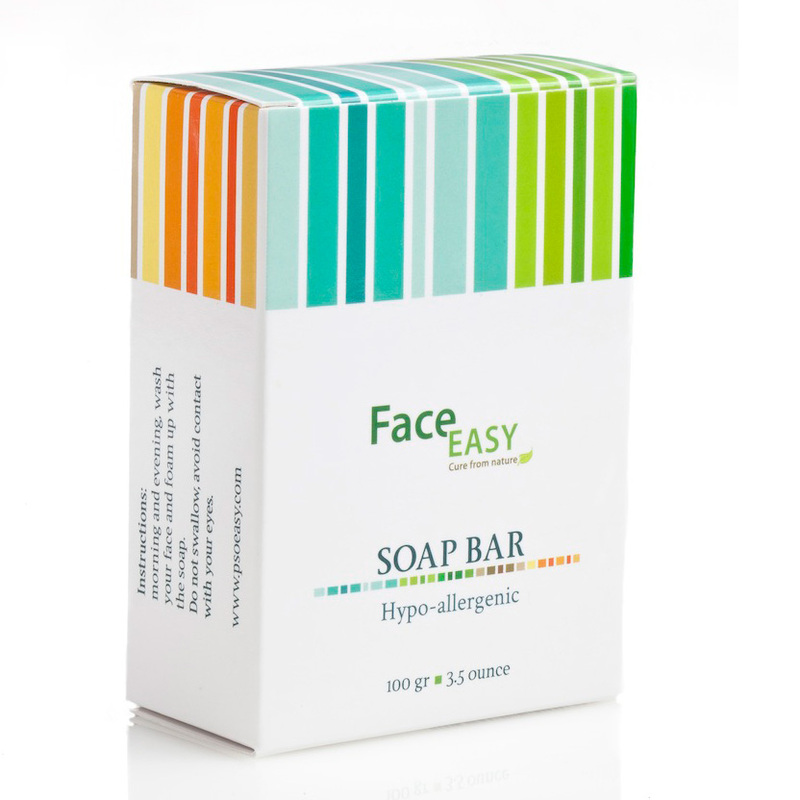 The soap contains vitamins, minerals, proteins, iron, potassium and calcium and is known for its effective ability to treat skin problems such as pimples and skin redness. Goat milk contains lactic acid that assists in peeling and shedding dead skin cells and exposing new and young replacement skin cells. The lactose melts the oily substances that penetrate the facial skin and the casein maintains skin moisture. After using the soap, complete the skin cleaning process with facial water to thoroughly clean the skin and seal the skin pores. This will not affect the skin’s natural moisture. The cream is a mixture of pure Essential oils and contains medical plant extracts and minerals from the Dead Sea to balance the skin and avoid extra oiliness. This combination of ingredients provides an effective and safe solution for treating facial pimples. It accelerates blood flow, removes extra oiliness, calms the skin and protects it. The green clay is a type of soil rich in minerals, calcium, magnesium, potassium and sodium. The green clay absorbs toxics and extra milk that skin secretes and enables deep cleaning bestowing it with energy that penetrates the connection tissues.